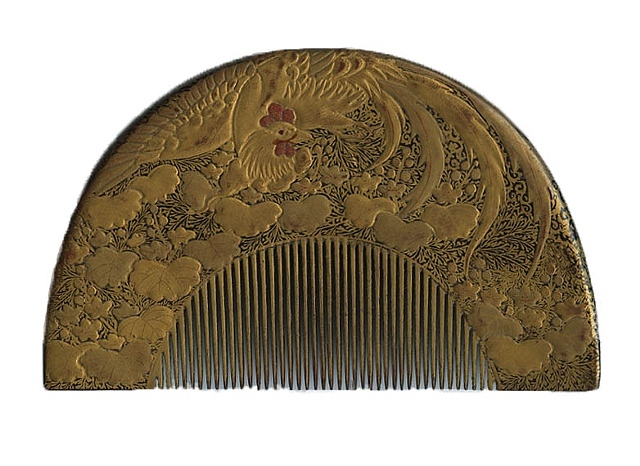 This site features Japanese hair ornaments from the collection of artist Miriam Slater. The ornaments (referred to as kanzashi), not only adorned the hair but were at the same time were intended to be beautiful works of art. They come in a variety of shapes and precious materials such as lacquer, tortoise, silk, coral and silver. The kanzashi in this collection are mainly of older pieces from the 1800s and early 1900s, which was a time when Japan's great beauties, the oiran and geisha, thrived. Images of fine old Japanese hair ornaments are often hard to find so this site hopes share the beauty of Japanese hair ornaments with a broader audience. Because of the slaughter of thousands of dolphins every year in Taiji, Japan, this collection in its entirety will be sold with all proceeds going to help preserve life in the oceans. Please google "The Cove" and "Blackfish" to learn more about the brutal captive dolphin trade originating in Taiji, Japan.